Discuss on the Tokunation Forums› Views: 5494 › Credit: FormerTitanium of the TokuNation Forums! Source. - https://twitter.com/kamen_drive, and KR FB Fanpage. A...Mercades? The hell? I would've expected a Honda or Mazda. Love it! 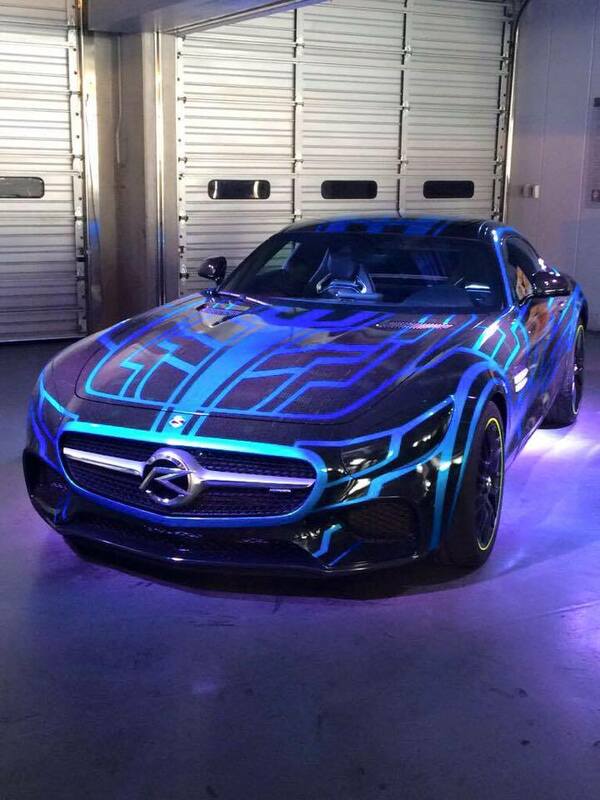 Looks like it rolled off the set of Tron 3! That looks cool but it seems more just a normal car with custom paint work when compared to normal tridoron, however we only seen in it's normal form without any potentially cool cgi stuff so it might something good there later. Well, if they were going with a German car I'd have hoped for the BMW i8. That car screams for techie details like the paint here. 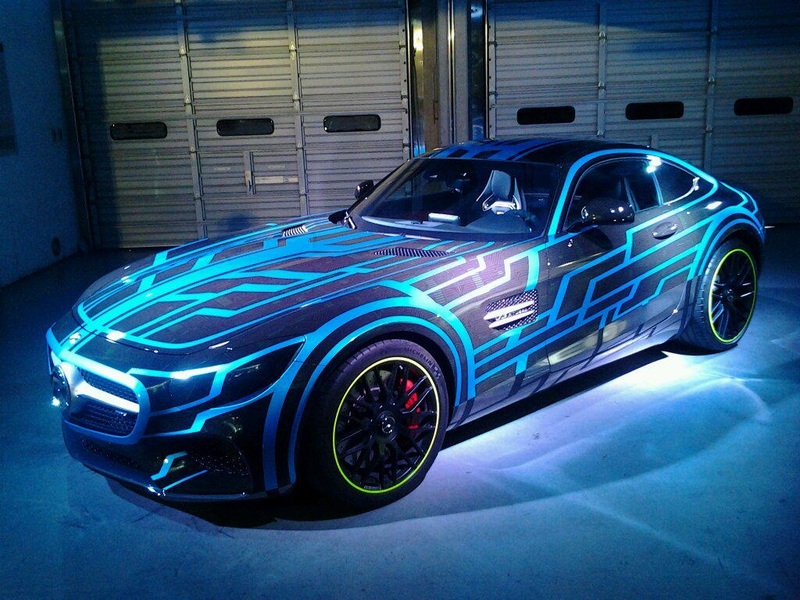 I suppose Mercedes is a little more comfortable with themselves though, given Mario Kart DLC and Transformers plugs. So... future, eh? Shinnosuke's and Kiriko's daughter as the new Kamen Rider Drive from the future please. The car is kinda meh if you compare it to the Tridoron, but not bad looking for itself. Interesting thing to note: Mach and the Signal Bikes are powered by the NEX-Core Driviars. It is a futuristic looking car. But all the Rider movies so far have had the main character from the show still be the main rider. So I imagine the title and the car are only going to be an asthetic. NEX Tridoron? Looks quite mundane compared to regular Tridoron (probably the lack of two giant wheels on the back, come to think of it) but it has a pretty cool paintjob.